The Pyramid International Laboratory is located at an altitude of 5,050 metres on the Nepali side of Mt. Everest. The Sherpa people of the Himalayas have long been recognized for their unique ability to excel physically in the thin air of higher altitudes. 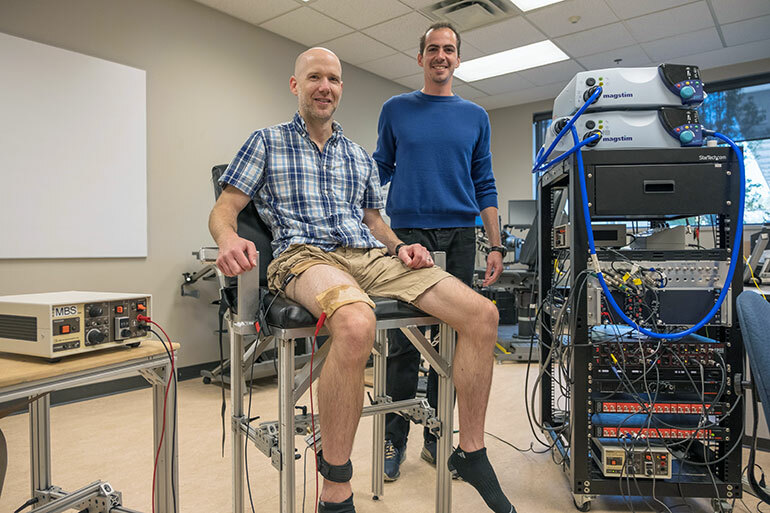 But new research from UBC’s Okanagan campus, published last week in the Journal of Physiology, now suggests that their specially adapted muscles give them up to twice the resistance to muscle fatigue of lowlanders. McNeil and his doctoral student Luca Ruggiero wanted to know if the muscle fibres of the Sherpa were just as efficient in a low-oxygen environment as their well-studied cardiorespiratory systems. 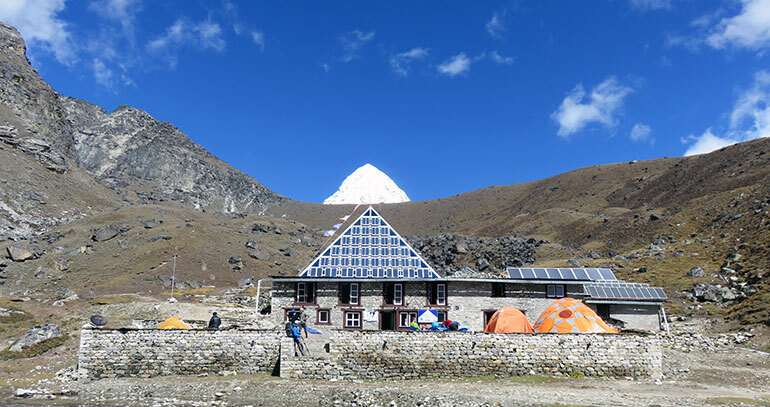 To test the idea, they travelled as part of a UBC Okanagan-led expedition to the Pyramid International Laboratory, located at 5,050 metres on the Nepali side of Mt. Everest. At the Pyramid lab, they performed muscle fatigue tests on 10 Sherpa and 12 lowlanders. “In fact, at 5,000 metres, where the oxygen concentration is roughly half that at sea-level, the Sherpa out-performed even the fittest lowlanders studied” he adds. For their tests, the team connected the dominant leg of the participant to a specialized device called an isometric dynamometer to measure the force exerted by the quadriceps—muscles on the front of the thigh that straighten the knee. After determining the strength of each participant, electrical stimulation was used to make the quadriceps contract rhythmically, as they do when walking, for approximately four minutes. Muscle fatigue was measured as the drop in force from the start to the end of the four minutes. “A better grasp of how Sherpa muscles are able to not only survive but thrive in such a harsh environment could one day lead to exercise or pharmacological interventions and change the lives of countless people,” he adds. UBC Assist. Prof. Chris McNeil and doctoral student Luca Ruggiero test leg fatigue using a specialized device called an isometric dynamometer.